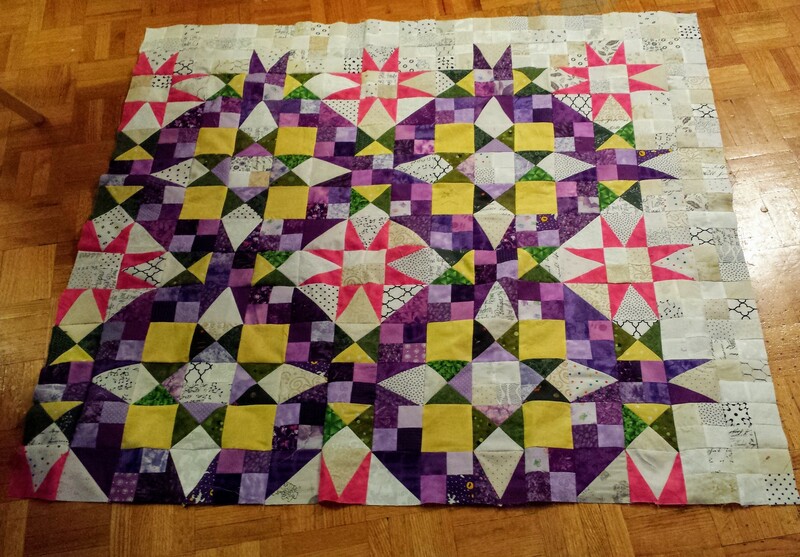 I’m really enjoying working on the Bonnie Hunter mystery quilt En Provence. Its taught me new techniques and is helping improve my piecing skills. I’m putting it together in quarters and right now have two of the four quarters finished and the last two are well underway. No idea how I’m going to back this or if I’m going to make it a bit wider or not. I’ll get it together and then decide. I know purple is such a surprising colour for me to use!! !